On Thursday a tragic accident occurred that resulted in the death of a fellow truck driver. While most job related incidents for truck drivers usually occur on the road, this unforeseen tragedy happened while the 29-year-old driver was outside of his semi-trailer on the grounds of a meatpacking facility in Omaha, NE. 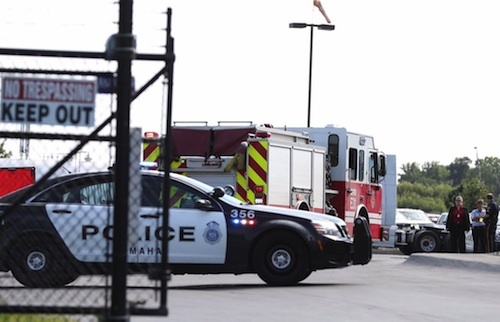 According to Officer Michael Pecha of the Omaha Police Department, Williams had been working at a loading dock at Greater Omaha Packing, located at 3001 L Street when the incident occurred. The incident was reported to the police at 3:01 pm and responding police officers arrived on the scene to find Williams lying next to a semitrailer truck. Williams was later pronounced dead. Police also said they were investigating the death as an apparent accident. Mark Theisen, Greater Omaha’s general counsel, also announced on Friday that “several regulatory bodies” would investigate the cause of the accident, and that it wouldn’t speculate on a cause before the investigations were complete. Williams was hired by the trucking company, Greater Omaha Express, (a subsidiary of Greater Omaha) about a year ago. Brent Falgione, president of Greater Omaha Express, said in a public statement that the company was deeply saddened by the loss of their employee. “Everyone’s thoughts and prayers are with the family and friends of our team member and everyone affected by this tragedy,” he said. Greater Omaha Packing declined to comment on the OSHA investigation, which will be completed within the next six months. The way OSHA works, we'll have to get out & chock the wheels before we are allowed to set the brakes. Wonder who the "Bright Reporter is that wrote this? Evidently doesn't know that Omaha is in the United States because the Abbreviation for Nebraska is NE, not NB.... ( NB is in Canada) If you're going to get out here and report it, "Know It.."
CA is the abbreviation for two very different places, but if there's an Internet article about something that happened in San Diego or Los Angeles, I don't need to be told that it was in California. Yes it DOES matter, folks.....I'm in full agreement with Bruce Cate. If a reporter/journalist is going to write an article for public viewing, he/she needs to be professional enough to proof read their piece before publishing.